Leicester manager Claudio Ranieri says that his squad must now focus their full efforts into improving their form in the Premier League after topping their Champions League group. The Foxes have been enjoying their European adventure this term and maintained their unbeaten record with a 2-1 win over Club Brugge on Tuesday. Leicester, who are priced at 34.00 to win the Champions League, went into the clash at the King Power Stadium knowing a draw would see them qualify for the knockout stages of the tournament. The Premier League champions went beyond that as they took all three points courtesy of goals from Shinji Okazaki and Riyad Mahrez to seal top spot in Group G.
However, Leicester have not been able to show their European form in domestically this term after losing six of their opening 12 games. Ranieri’s men sit just two points above the bottom three and are in serious danger of being dragged in to a relegation battle. The Italian wants the squad to now focus on getting their swagger back in the Premier League as they can forget about the Champions League until early in 2017. 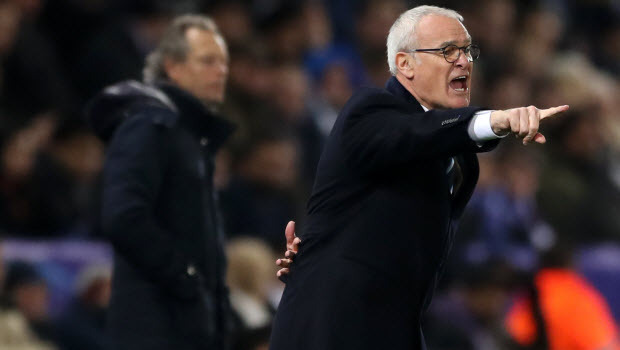 Ranieri said: “Now our mind must go on the Premier League. “Now the group is won, it is important to come back in the Premier League.